Focus your mind and energies and develop an abundance mindset and you will become rich. Many of the ideas in this book were warped into ideologies like The Secret, but the underlying concepts here are good. I’d recommend “As a Man Thinketh” and some Stoicism instead, though. 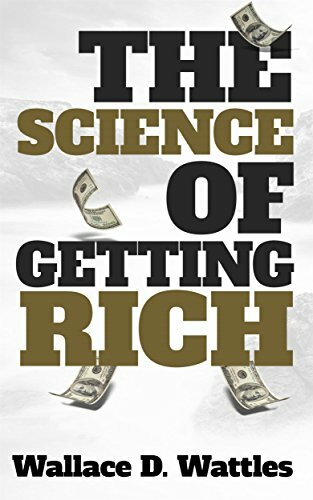 So different people will have different ideas of what it means to be rich, but at the very least, you must be able to do everything you want to do. This is similar to the ideas in “As a Man Thinketh.” Essentially, all richness starts in your thoughts, so you must properly direct those first. This is where you start to see how people can take the idea too far and end up believing in The Secret. The point isn’t so much that you can will success into your life, rather, that you must first direct your thoughts towards it. That’s how I read it, at least. Focus on creation, not on beating people. Be your best self, and in doing so, help others be better. Abundance mindset, focus on seeing the world’s resources as abundant, not limited, and you can have more of the creator mindset. More on the abundance mindset, don’t just try to take value, create more of it. Lollapalooza effects. This is where some of the ideas around “vision boards” come from. People get too wrapped up in the idea of visualizing their goals, instead of acting on them, and create these elaborate pillars to devote themselves to. Maybe this is what the author meant… but I think he more meant setting clear goals for yourself. This is similar to the notion of “Direct Actions” from “How I Found Freedom in an Unfree World,” as well as one of the general ideas of stoicism. Essentially, don’t focus on things outside of your control. It’s a waste of time and energy. Again, more focus on what you can control, and ignoring the things you cannot.